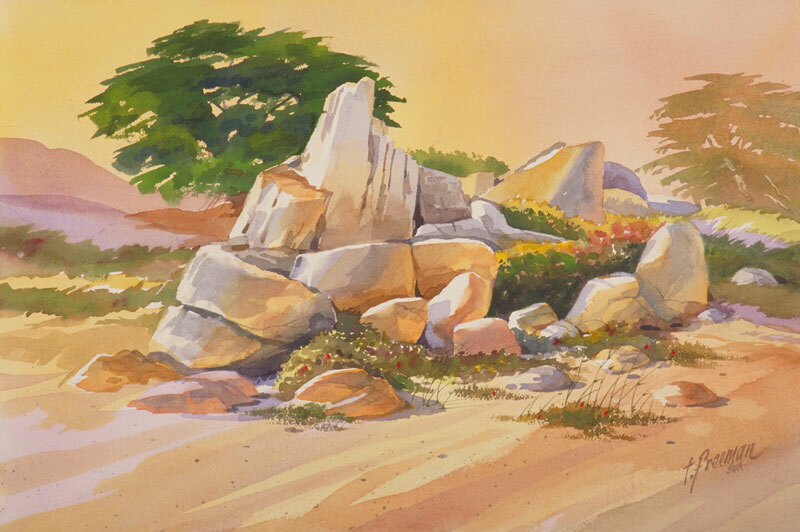 Thomas Freeman Original Watercolor Painting: "Bright Stones"
This is a big pile of rocks at Pacific Grove only a couple hundred feet from the ocean and near Pt. Pinos lighthouse. I painted it pretty much as it looks in real life. I liked the way the light reflected off the stones - very bright on one side and a warm glow on the other.